You think that Meek Millâ€™s Championships album is fire, just wait till you scope the hip hop chains and gold bracelets Hip Hop Blingâ€™s got on deck for this holiday season. From the dopest cuban chains and tennis chains, to banginâ€™ gold bracelets covered in fresh ice, youâ€™ll be looking lit af for the holiday season when you order today from Hip Hop Bling. 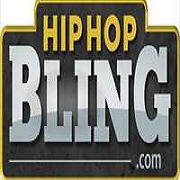 HipHopBling.com is a jewelry wholesaler and retailer with tremendous experience and knowledge of the hip hop jewelry segment. Our company has been around for nearly 20 years offering the finest products to consumers and hip hop related retailers across the globe. We have grown from a small room during the 90s to a full blown 25000sqft warehouse in Columbia MD shipping hundreds of orders each day. Our mission is simple and we stand by it each and every day.